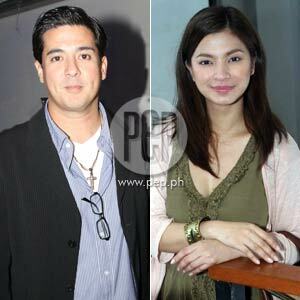 Aga Muhlach and Angel Locsin are paired together in the drama-suspense love story tentatively titled Huling Sayaw. 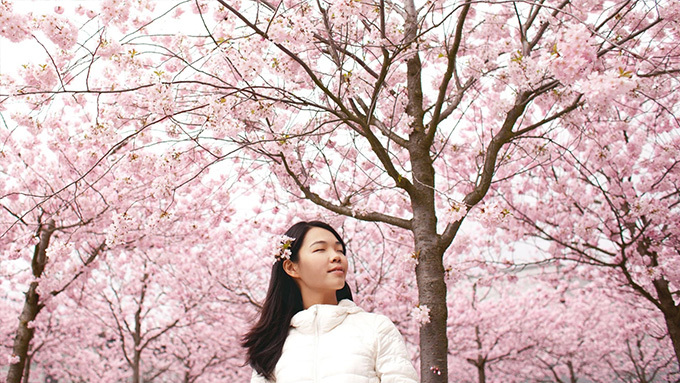 They shot key sequences of this Olive Lamasan film for six days in the Land of the Rising Sun, Japan. For six days, Aga Muhlach and Angel Locsin shot key sequences of their movie in the Land of the Rising Sun, Japan. Tentatively titled Huling Sayaw, this Star Cinema movie is directed by Olive Lamasan who works with both stars for the first time. In the September 5 episode of The Buzz, Aga described the difficulties that they went through while shooting this movie. "Mahirap talaga kasi summer ngayon so napaka-init talaga. We were trying to shoot all the exterior scenes...nasa kalye kami the whole time so it was really hard for us. Ang tulog namin dun, pakonti-konti lang," recalls Aga. Angel agreed with her leading man by saying, "Pagod kung pagod talaga kasi lakad...paltos-paltos ang paa mo pero tinitiis mo lahat kasi alam ko lahat nagtitiis rin, e. Si Kuya Aga, kahit pawis-pawis na, game pa rin. Ang hirap lang talaga sa Japan kasi in one shot, kailangan ma-perfect mo ang blocking, acting, lahat." The actress was mesmerized by the beauty of Mt. Fuji, which is located southwest of Tokyo. "Nagpunta kami sa Mt. Fuji...napakaganda pala nun! Sabi nga nila, bihira lang magpakita ang Mt. Fuji na ganun ka-visible." In a previous interview with PEP, Aga pointed out that in order to portray his role as a professional dancer, he had to study seven kinds of dances for this movie. "I have ’yong pasa-doble, then there’s my hip-hop doon sa mga eksena sa Japan, then may dalawang klaseng tango-Argentinian and American-and then we are doing rumba," he told PEP contributor Anna Pingol during his recent birthday celebration. He was impressed by the dedication shown by his leading lady during this trip. "If there’s one thing I can say about Angel, mahal niya ang ginagawa niya. Seryoso siya. I’m really excited dahil napakaganda ng project," ends Aga.